Equine sports massage is the therapeutic application of a variety of massage techniques. These have been long recognized to have many benefits including - increasing circulation and range of motion, relieving muscle spasm/tension, enhancing muscle tone and improving the horse's stamina and overall performance. Equine Sports Massage can be used both for prevention (lessen injury risk caused by strain or fatigue) or rehabilitation. A qualified Equine Massage Therapist will carefully assess your horses' confirmation including on the lunge in walk, trot and canter to ascertain any problems causing or likely to affect its work. An important element of the treatment is the use of passive stretching exercises for the horse, these are usually completed at the end of the massage session once the muscles have softened, also can be used at the end of ridden/training exercise. The therapist will encourage the owner to incorporate simple stretches into the horses daily routine - this will attain optimum results and often an individual work programme will be drawn up so that the horse can obtain maximum results. By using passive stretches your horse can improve flexibility of muscles and joints as well as improving circulation to tissues. 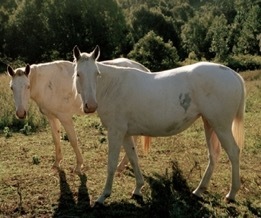 Many horses find a massage helpful both before exercise and after exercise. Likewise massage can be enjoyed by horses who are at box-rest or not ridden regularly to help keep muscles in good health. 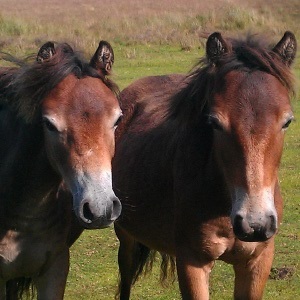 Veterinary advice should be sought before your animal is referred to an Equine Massage Therapist. As well as this being a legal requirement, usually the therapist will be keen to discuss the progress of your horse with the Veterinary Surgeon - thus in turn improving the benefits of the sessions. Additionally, there are some circumstances where it maybe inappropriate to use massage and so it's important your therapist understands your horse's relevant medical history. Potentially, any level of horse can benefit - whether a competition, leisure or retired horse. Will My Equine Sports Massage Therapist Be Qualified? There are various equine massage courses that can be taken, and it's important to choose a therapist who has the appropriate qualifications. Choosing a therapist who is a member of the Equine Sports Massage Association (ESMA) will mean that they are fully qualified and insured. Members of the ESMA have achieved a rigorous qualification in Equine Sports Massage, are qualified in human massage, are experienced horse people, passed relevant examinations, hold full insurance and complete continuous professional development each year. The Association of Complementary Animal Therapies also offers membership to those therapists who've completed accredited courses, such as those run at The Institute of Complementary Animal Therapies (ICAT). You may find that your therapist will hold other qualifications, or be a member of another professional association. If you're unsure who's the best therapist to use - speak to them to see if they've experience of working with an animal with similar ailments to yours. Also ask your Veterinary Surgeon for advice, as a equine (or canine) massage therapist should work with the permission of your Vet, your Vet may well know of a local therapist who could help your animal anyway. How Much Will An Equine Sports Massage Therapy Session Cost? There is no set price however, on average you can expect to pay between £25-£40. This may vary according to the number of horses seen by the therapist, and how far they have had to travel. Please contact the therapist for their individual charges. How Long Will An Equine Sports Massage Therapy Session Take? The initial consultation will probably be longer than a routine session, so that the therapist can carry out a full assessment - this may take 1 - 1 1/2 hours. Further routine sessions may take anywhere between 30mins to 1 hour, depending on what is required. Is Equine Sports Massage Always Safe? It is a non-invasive therapy, however, it is NOT always suitable. For instance if your horse has a fever, or a serious skincare ailment then it may not be safe. Your veterinary surgeon and professionally qualified Equine Massage therapist can advise. Would You Like To Learn Equine Massage Techniques For Your Own Horse Or As A Career? Please visit our Equine Massage training advice page here. Would you like information on Equine Massage Therapists for your animal? Check the list below or please email us at info@taranet.co.uk - we'll be pleased to try and assist!